Start your night with “Dog With A Blog.” In “Howloween 2: The Final Reckoning,” the kids must try to convince Ellen and Bennett that their “house is haunted” after they overhear Stan talking. In this 2013 repeat of “A.N.T. Farm,” the mutants think they are in a boarding school for monsters. Watch back-to-back 2011 reruns of “My Babysitter’s a Vampire” at 11 p.m. and 11:30 p.m. EDT. The 2014 Halloween episode of “Liv and Maddie” will find the twins turning into triplets thanks to a magic amulet. In the 2014 episode “Creepy Connie 3: The Creepening,” Creepy Connie returns … with a sidekick. “Parents unknowingly hire a vampire to babysit their 13-year-old boy,” in this 2010 Disney movie. Jack Skellington gets himself into trouble when he tries to take over Christmas from Santa Clause in the classic 1993 film. Mickey’s car “breaks down in a graveyard” in this 5-minute video short. Creepy Connie gets close to Luke in a school play in this 2012 rerun. If you missed “Girl Meets World: Of Terror” you can catch it on Saturday night. A rerun of the 2014 Halloween episode of “I Didn’t Do It” will re-air on Saturday night. Watch the 2014 Halloween episode of “Liv and Maddie” again on Saturday night. 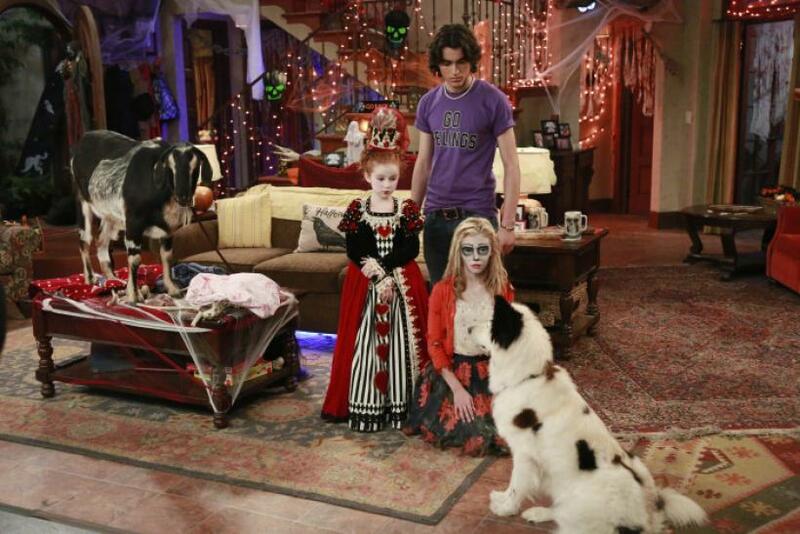 A rerun 2014 Halloween episode of “Liv and Maddie” will air on Monday night. What are you excited to watch during the month of “Monstober”? Tweet your thoughts to @AmandaTVScoop.